Earlier this month A and I traveled to Gran Canaria for a much-needed summer escape. 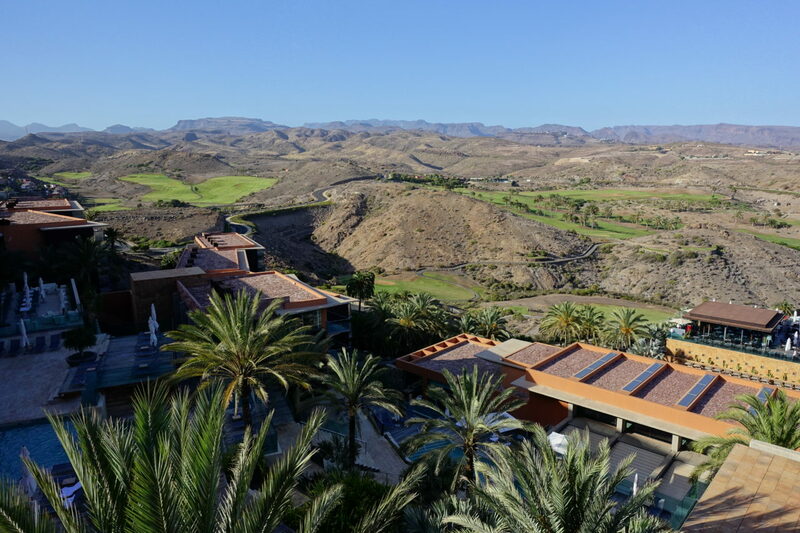 As we only had five days to spend on the island, we wanted to make the most of our trip and opted for our favourite resort on the island – the beautiful and secluded Sheraton Gran Canaria Salobre Golf Resort. The location of the resort is beautiful and remote. 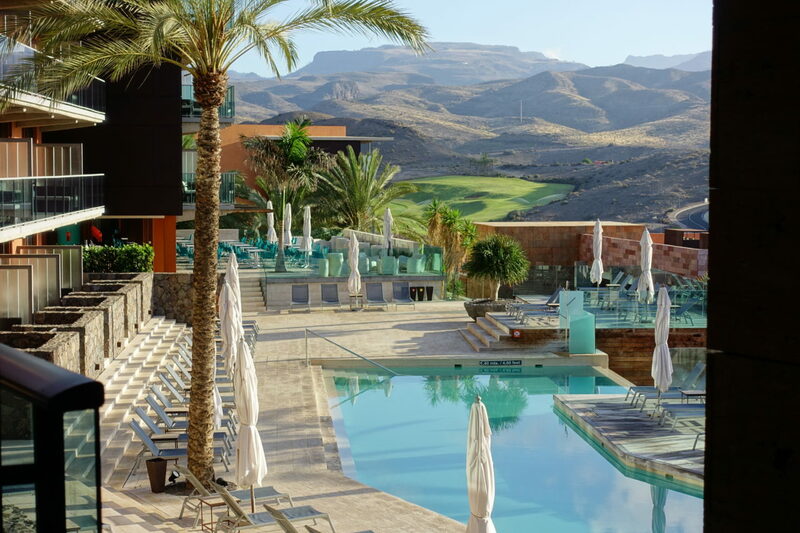 The Sheraton Gran Canaria is located in the countryside in the south of Gran Canaria. 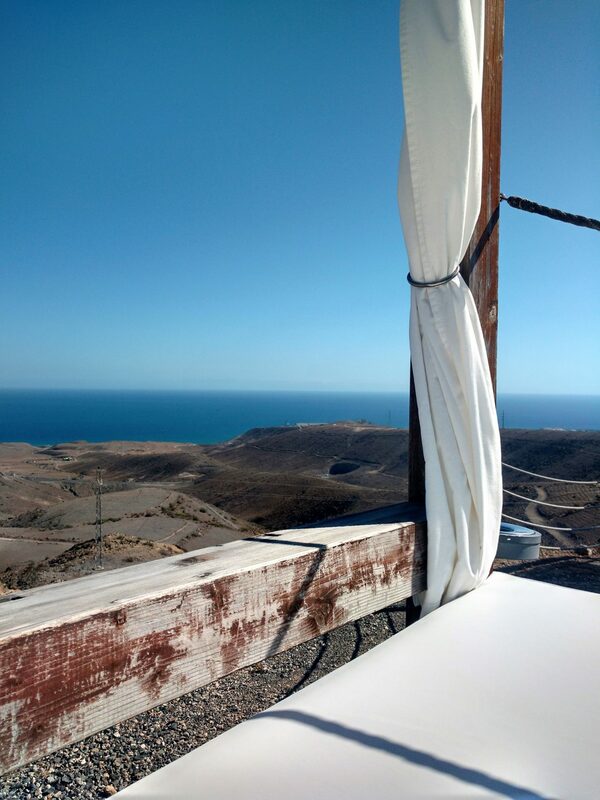 Set high above the sea, the resort offers beautiful views of the mountains, dunes and the Gran Canaria coastline. Its quiet location next to one of the islands most secluded golf courses make it the perfect hideaway offering a nice contrast to the usual mega resorts the island has to offer. A and I arrived at the hotel on an early summer morning, after a tiring red-eye flight and a 20 minutes drive from Gran Canaria Airport. We had a rental car which I would highly recommend for this resort, as apart from a regular beach shuttle there is no public transport nearby. The front desk team was extremely friendly and took care of our baggage and our rental car. As our room wasn’t ready for another hour, we decided to hit the breakfast first and were then escorted to our room on the eighth floor where we were awaited by a lovely note and welcome gift. As we are SPG platinum members and booked our stay directly with the hotel, we were lucky enough to be upgraded to a deluxe suite. The suite was separated into a living room area and a bedroom with a comfortable king size bed. 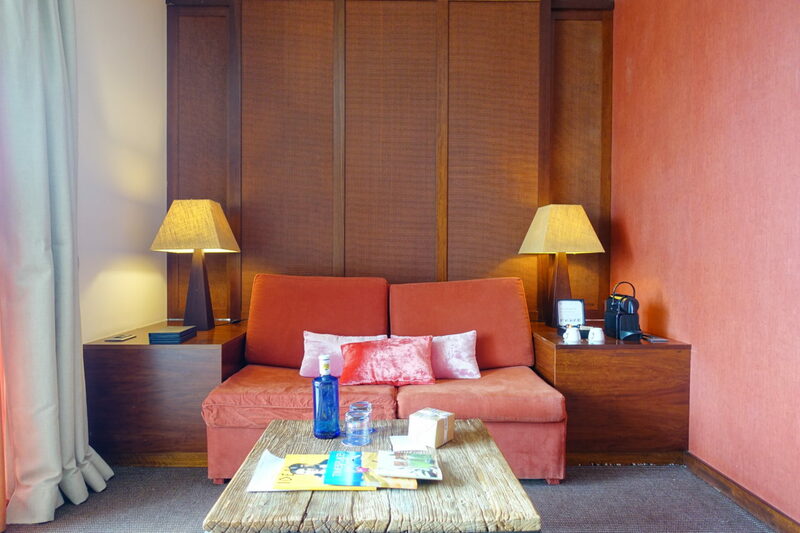 The living room area of our Deluxe Suite. 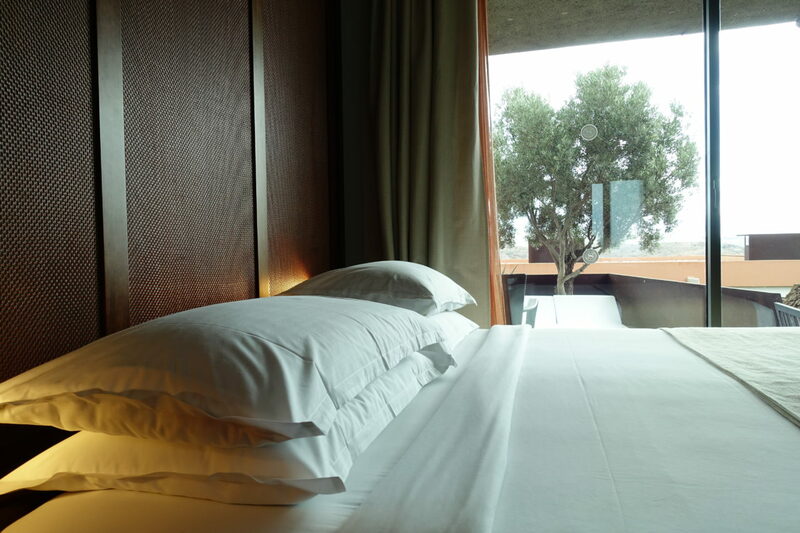 Although the bedroom of the suite was rather small – the bed was big and very comfortable. 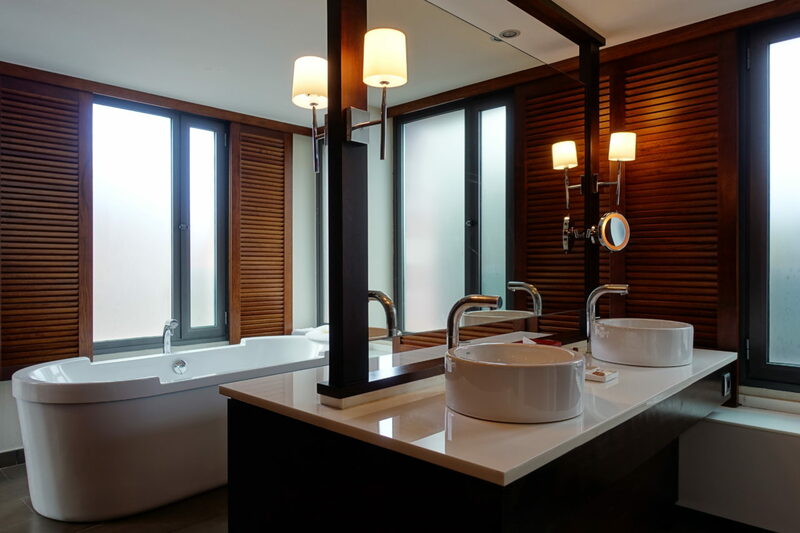 The room also featured a spacious closet area, a huge bathroom with double sink, rain shower and a mega bathtub as well as nice terrace with plenty of seating opportunities and a small daybed. While I thought the bedroom itself was a little narrow and dark, I especially liked the bathroom. It almost felt like a mini spa, with plenty of scented amenities and extra fluffy towels, slippers and robes. The only thing to be aware of, is that the toilet although separate, didn’t come with a frosted glass door, while the shower did. Usually, that’s the other way around which would have made more sense in my opinion. The bathroom was beautiful and very spacious. 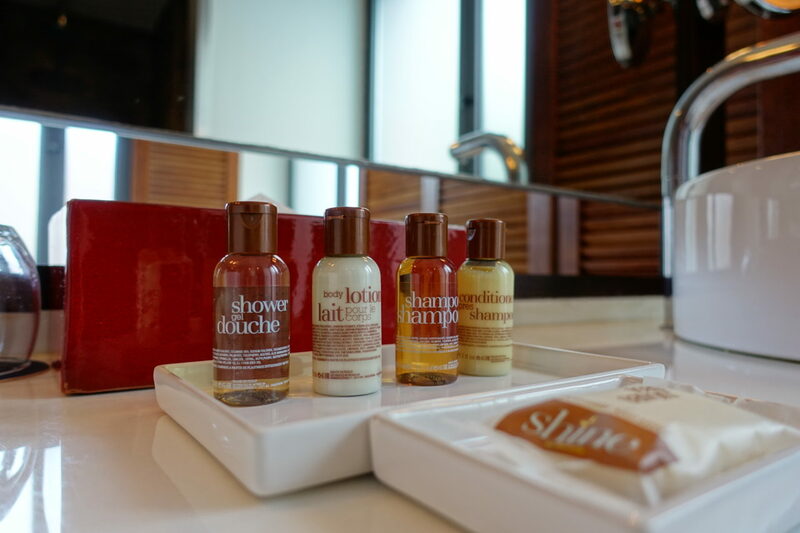 I love the Sheraton amenities – they smell fantastic. 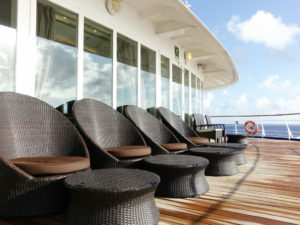 Although the terrace didn’t offer the best views, I liked the fact how spacious and quiet it was. 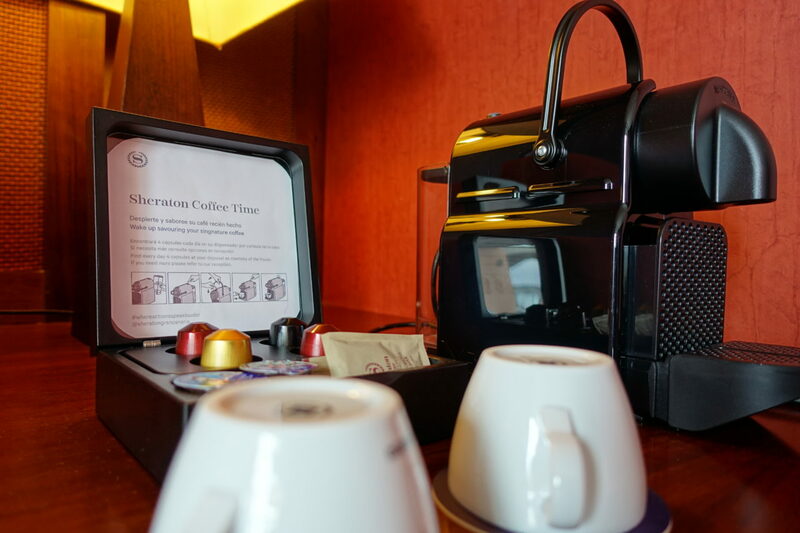 As the room offered a Nespresso machine, it was the perfect spot to enjoy the first coffee of the day. Additionally to the coffee machine there is also one complimentary bottle of water per day, which is a nice touch. 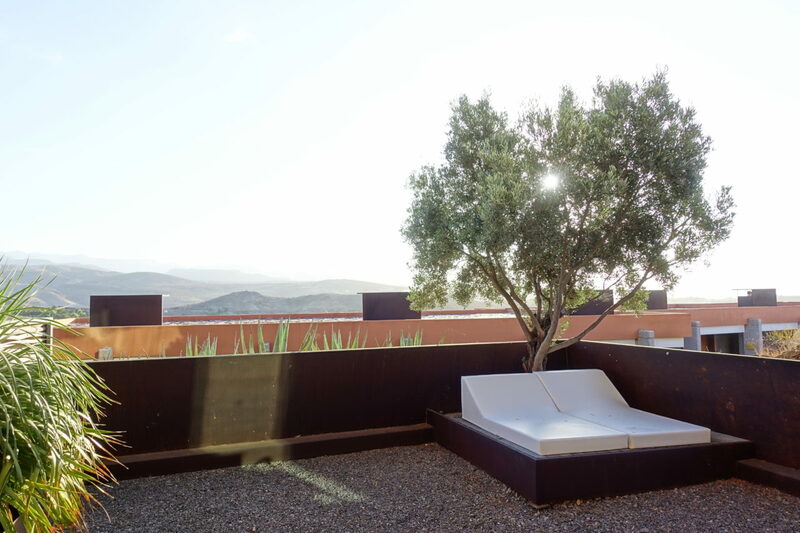 The terrace of our suite was beautiful and quiet with a nice daybed. No hotel room is complete without a Nespresso machine. A and I were in desperate need of relaxation after some especially busy weeks. This was the reason why we chose the Sheraton Gran Canaria, as it is the most peaceful resort on the island. 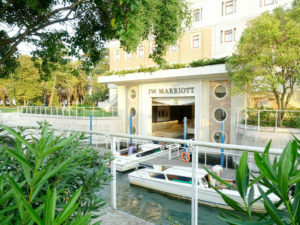 The hotel offers about seven different pools to choose from – including a secret suite pool on the fourth floor. One of the resort’s many pools. 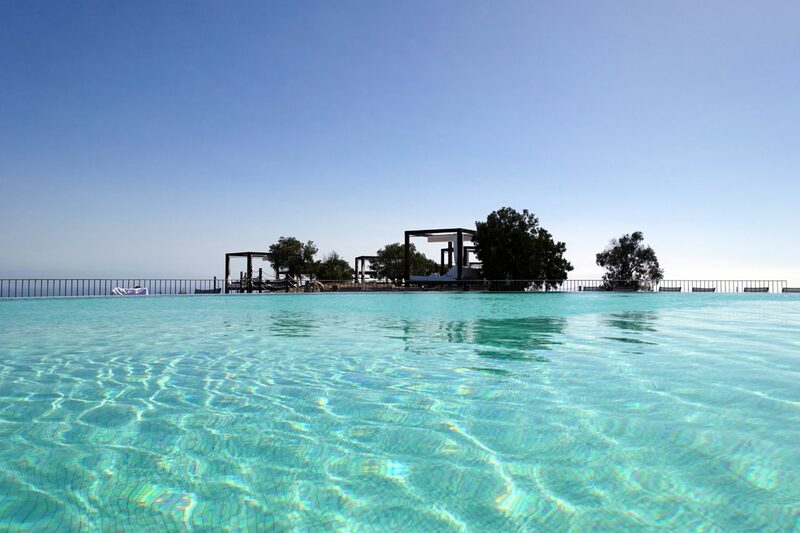 Our favourite pool however is the Sunset Pool, located on the 11th floor on top of the resort. It comes with a huge pool (with a swim-up bar!) and offers breathtaking views of the mountains and the ocean. While the rest of the resort is quite family friendly, the sunset pool is for adults only and offers the most comfortable Balinese beds. While the Balinese beds used to be free of charge which led to a war over a free spot every morning in the past years, they are now by reservation only and cost 35 Euros per day. There is also one bottle of Cava (or any two other drinks to choose from) included in the price, which makes totally worth the splurge in my opinion. A and I ended up reserving a Balinese bed almost every day and enjoyed the nice ocean views as well as the peace and silence while reading, chatting or napping. The Balinese beds offered a breathtaking view of the moutains and the ocean. Balinese beds, loungers and nothing but blue skies. What more could I ask for? 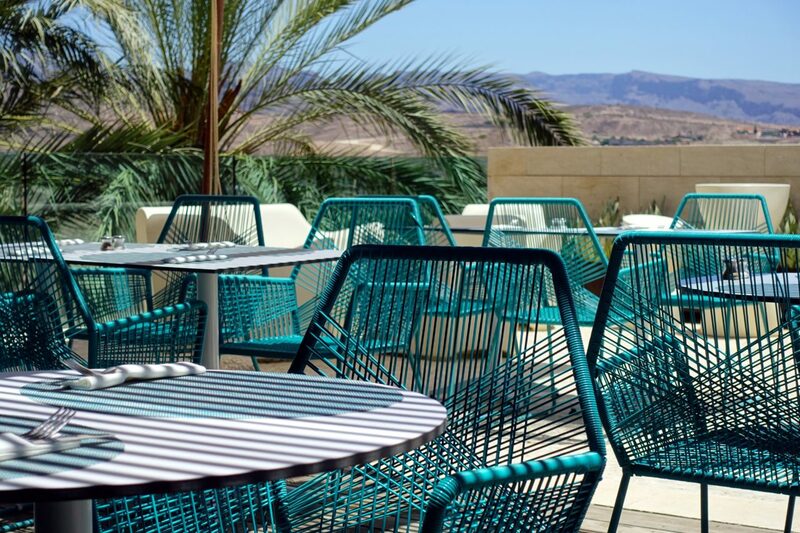 Fresh smoothies and view – the perfect afternoon at the resort. The Sunset Pool is adults only – and my favourite pool of the property. When it comes to food, the Sheraton Gran Canaria very much improved over the last few years. 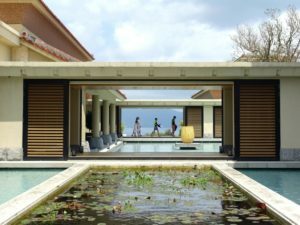 We had visited the resort before and had some rather disappointing food experiences, so I was very happy to see how much the quality of food has improved. The breakfast buffet offered a good choice of hot and warm dishes as well as fresh pastries and fruit. I especially liked the smoothie and juice station. 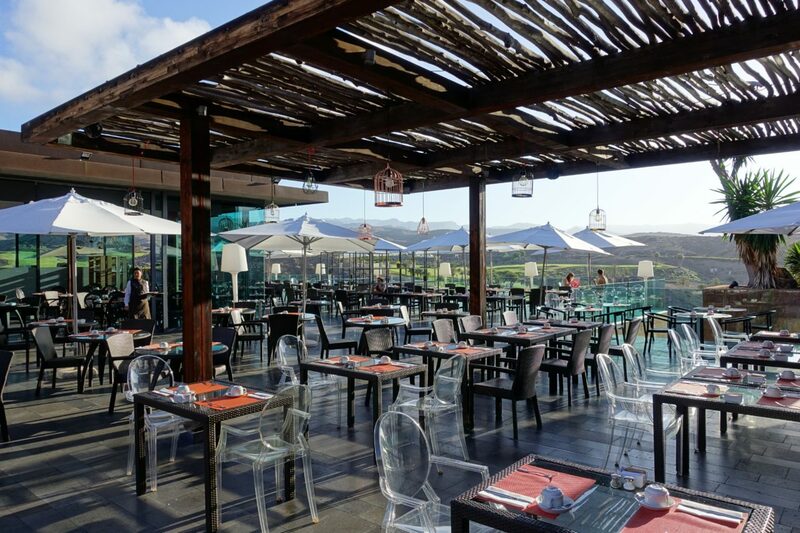 Gofio – the resorts buffet restaurant – was the perfect spot for an al fresco breakfast. 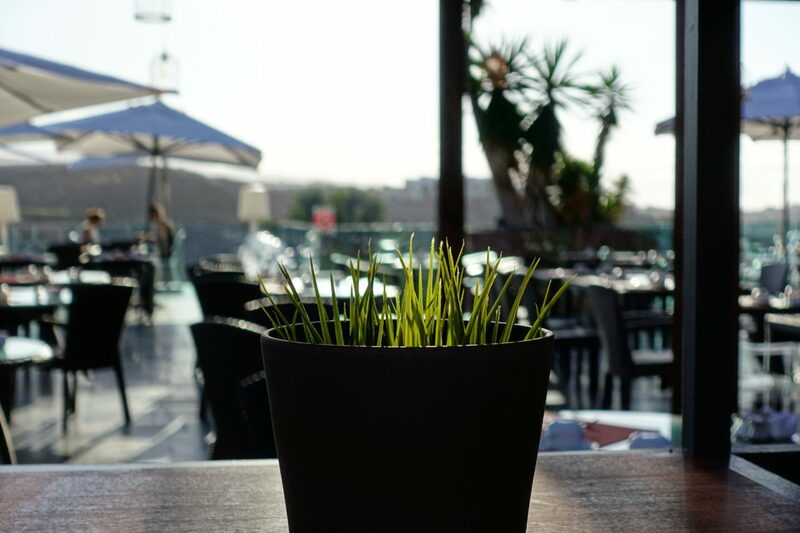 The decor of the restaurant was airy and breezy – with lots of plants. 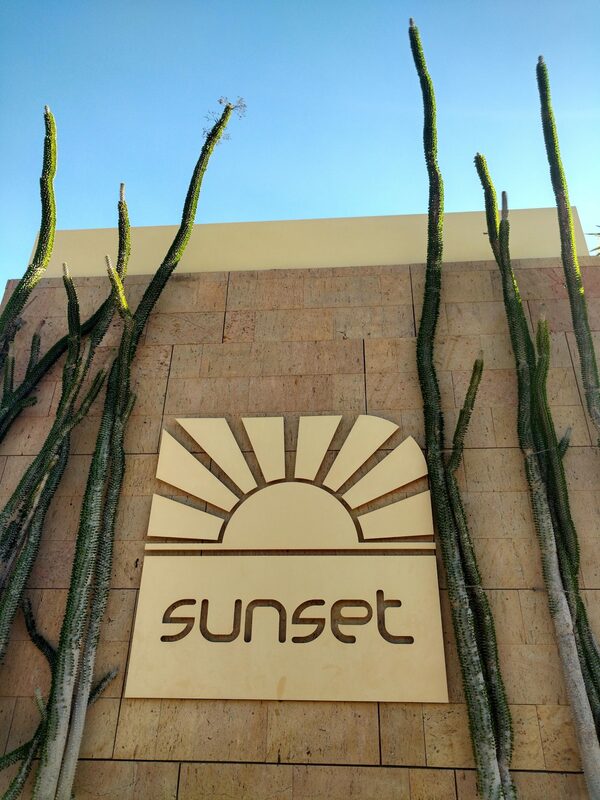 For lunch we tried out the sunset bar as well as the LaPalmera restaurant, which is located next to the pool on the seventh floor. Both offered a nice range of fresh salads, sandwiches and snacks and the food tasted fresh. For dinner we skipped the buffet restaurant but visited their a la carte Italian restaurant “Camaleon” twice. Again, the food tasted great. La Palmera makes for the perfect lunch spot. Perfect location for a sundowner: The swim-up bar of the Sunset Pool. No matter how good the food is, you can’t beat the resort when it comes to drinks. 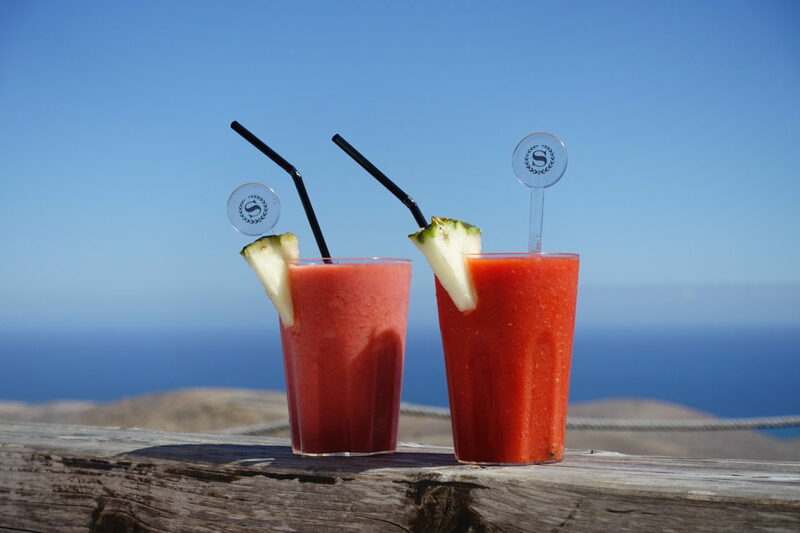 From smoothies to Mojitos and Sangrias – they all tasted great. 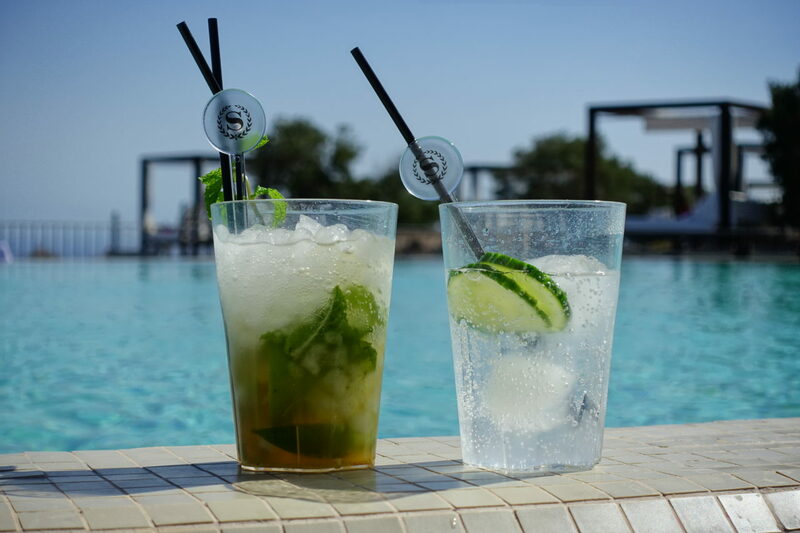 After all, there is nothing better than enjoying the sunset while sipping the perfect sundowner, is there? The Sheraton Gran Canaria is the perfect resort to relax and unwind. The same goes for their Aloe Spa. 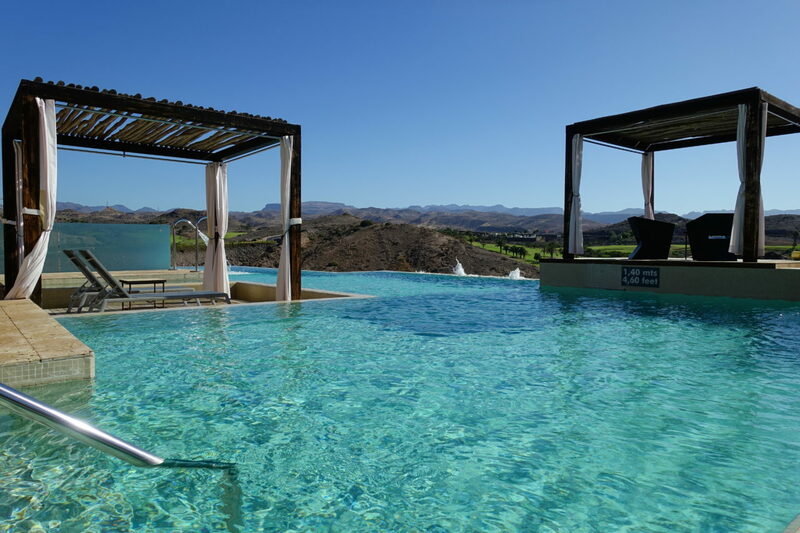 As SPG Platinum members we had free access to the Spa circuit, which is great as the pool area is beautiful and tranquil, while offering a great view over the mountains and the golf course. Even if you don’t have the Spa entry included, I would highly recommend to book the circuit for an afternoon full of tranquility. The pool at the Aloe Spa – beautiful and relaxing. We also booked a relaxation massage, which was nice but not as great as other treatments we have experienced. Although our therapists were very friendly and the facilities at the Spa are beautiful, the massage itself just didn’t do the trick and left us kind of disappointed. 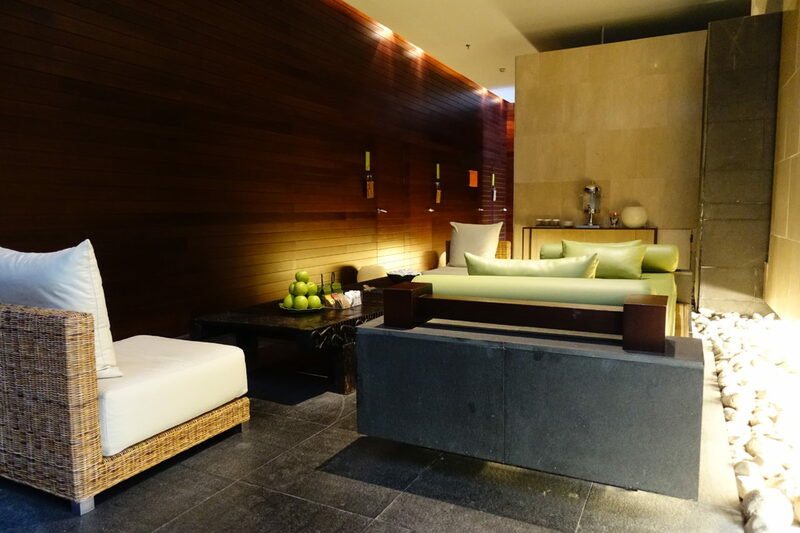 The Aloe Spa treating area is modern and chic. Apart from relaxation there is also a wide range of sport, yoga and meditation classes which are all free of charge. I think it is great if you plan to stay fit during your holidays. As mentioned before, A and I have been coming back to Sheraton Gran Canaria over the years. One thing that got better from visit to visit is the team. 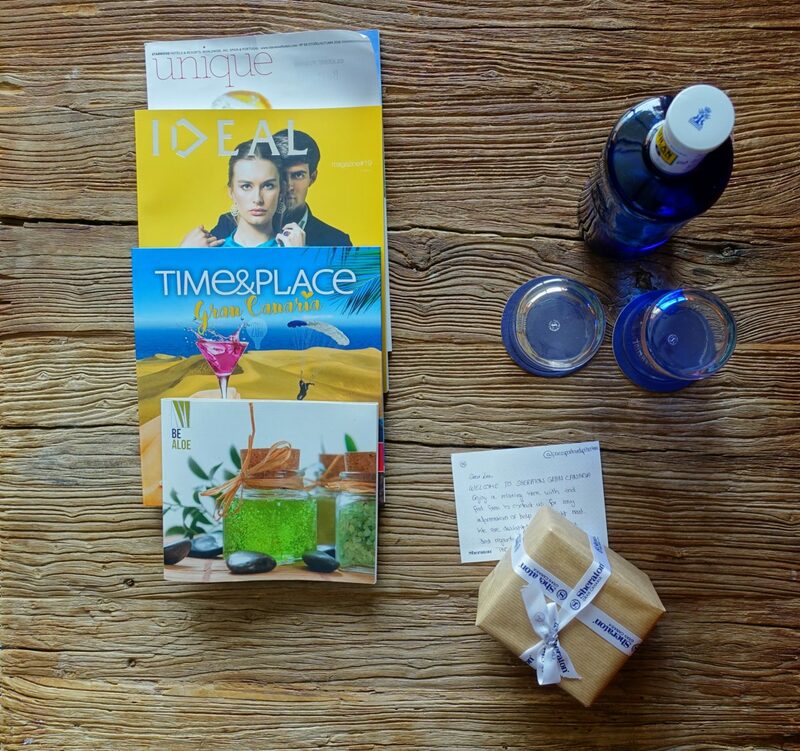 No matter if we talked to the waiters, the barkeepers, the Spa team or the front office – everyone was friendly and attentive. Although A and I both speak Spanish, we also noticed how many languages every one of the team members spoke, which is always a great plus. Housekeeping did a great job too, there were just two small things I didn’t like about it: The turn-down service came by the room in the afternoon instead of evenings which didn’t make a lot of sense. Secondly, we received a nice bottle of Cava upon arrival, which miraculously disappeared the next day – without giving us the chance to enjoy it. But at the end these are small things and all in all I think the Sheraton Gran Canaria has a great team which helped to make our stay memorable. 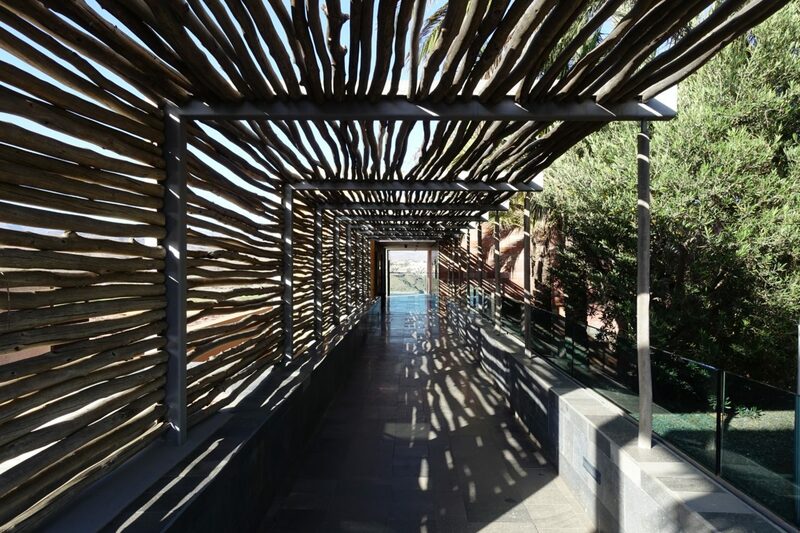 If you are looking for some downtime and relaxation, the Sheraton Gran Canaria is the perfect hideaway. 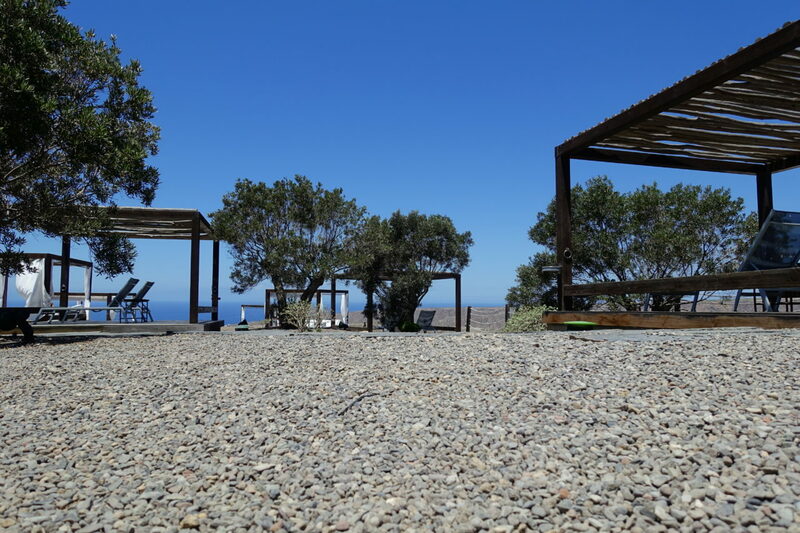 I can highly recommend it if you don’t mind exchanging the beach for stunning ocean views up in the mountains. Their Sunset Pool is one of the best I have ever visited and I think it is perfect to spend a few beautiful and sunny days as a couple. We will definitely keep coming back to the resort, as it is one of our all time favourites on the island.